Do all hotel room doors need to meet the ADAAG requirements for clear width? Can sleeping accommodations for guests with hearing impairments be included in the wheelchair accessible rooms? Do all rooms need roll-in showers? 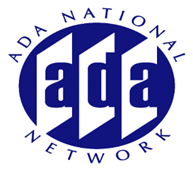 This session will provide an overview of the scoping and technical requirements for places of transient lodging under the ADA. In addition, reference will be made to recent U.S. Department of Justice settlements with major hotels throughout the U.S. and resource materials to assist in design and construction of lodging facilities.